The announcement made by Prime Minister Dr Mahathir Mohamad in announcing a minimum wage of RM1,050 across the board is a total sellout and humiliation to the low-income workers of Malaysia. 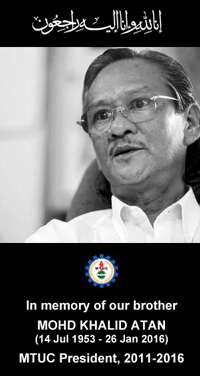 During Mahathir’s 22 years as prime minister, he never allowed a minimum wage law to be legislated, in spite of having his own children becoming among the richest people in the country. When minimum wage was legislated in 2012, to the happiness of unions and workers, Mahathir was not at all pleased. Now, as ‘Mahathir 2.0’, nothing has changed. On July 17 this year, PSM was one of the groups invited for an emergency meeting by the Minimum Wage Council. In the meeting, PSM proposed that an RM1,500 minimum wage be backdated to July 1, 2018 – because a wage review must be conducted every two years, and the last review occurred on July 1, 2016. The Malaysian Trades Union Congress (MTUC), meanwhile, asked for RM1,800 and also said this must be backdated. 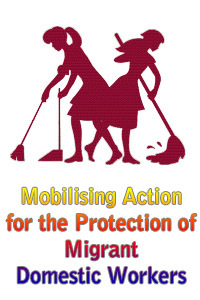 The Wage Council itself initially proposed RM1,250 for Peninsular Malaysia in accordance with the Pakatan Harapan manifesto, but if wages needed to be standardised across the board, they proposed a figure of RM1,170. Here is what’s interesting. The employers’ proposal was an increase of RM50, starting from January 2019 – or RM1,050. Today, Mahathir announced exactly what employers wanted. Isn’t this a total sellout? It is no use having a wage council if the final decision is going to be made by the cabinet. 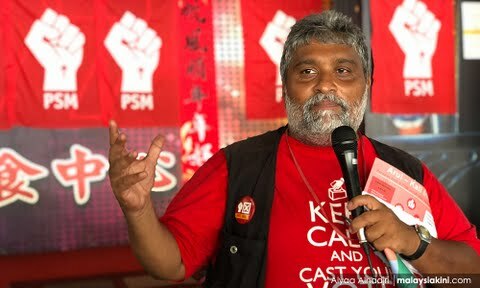 PSM calls for the members of the wage council to resign gracefully, because at the end of the day, it is only employers’ voices which are being considered and heard. It is a waste of time to get feedback when they don’t have any locus to determine wages. Their allowances would be put to better use elsewhere. This would also mean in the next four years, wages must be increased to RM1,500 which means a further increase of RM450. This is in accordance to the Harapan’s own manifesto pledge to increase the minimum wage to RM1,500. This will actually put more strain on the future prime minister, since Mahathir plans to be only there for two years, if he agrees to his own promise. But I am sure he couldn’t care less. Even under BN, every wage review resulted in an RM100 increase. This is a total disappointment. Now will the great champions of workers in Harapan open their mouths? Will they have guts to go against this total sellout of workers’ rights and dignity? Will they stand by workers, or will they kowtow to Mahathir and his rich friends? It will be interesting to hear what Harapan’s M Kulasegaran, Abdullah Sani, Charles Santiago, Mohamad Sabu, Hanipa Maidin, P Ramasamy, Maria Chin Abdullah, R Sivarasa, Tian Chua, and Nurul Izzah Anwar, to name a few, have to say about this announcement.